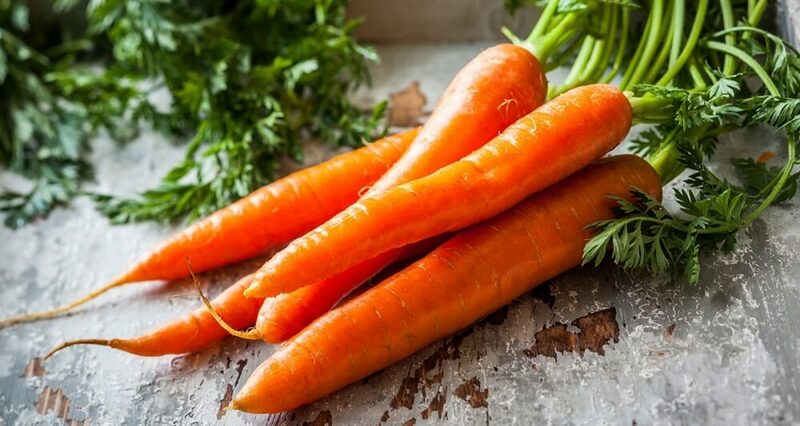 Carrot diet for fast weight loss is the most simple, available and highly-effective way of weight correction. Bright root vegetables are rich in vitamins, have a pleasant taste, are low calorie, and therefore a perfect component in dietary nutrition. In addition to reducing weight in the vegetable menu, there is still a nice bonus – a noticeable improvement in the condition of the skin, hair, and nails. 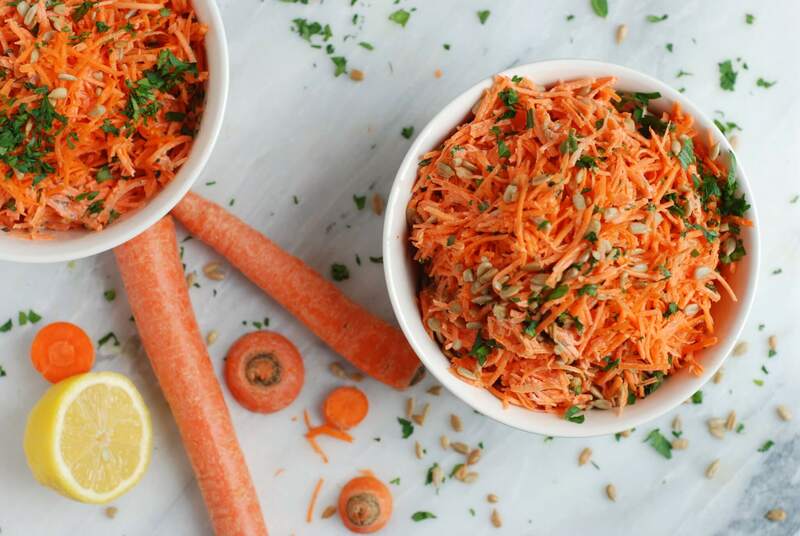 Vegetable menu raises to an excellent degree the benefit of the bright, juicy root, which has become a kind of a symbol of healthy nutrition: there is no more useful snack than carrot sticks! Not suitable: suffering from diseases of the digestive and excretory systems, pregnant and lactating, with age younger than 18 years. Before the beginning of the menu , you should consult a doctor in charge, with pronounced obesity to lose weight only under the full supervision of a specialist! It is rich in vitamins B, D, K and E, pantothenic and ascorbic acids. 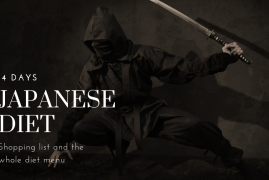 The menu for 3 days is the most concise and simple variant of this technique. 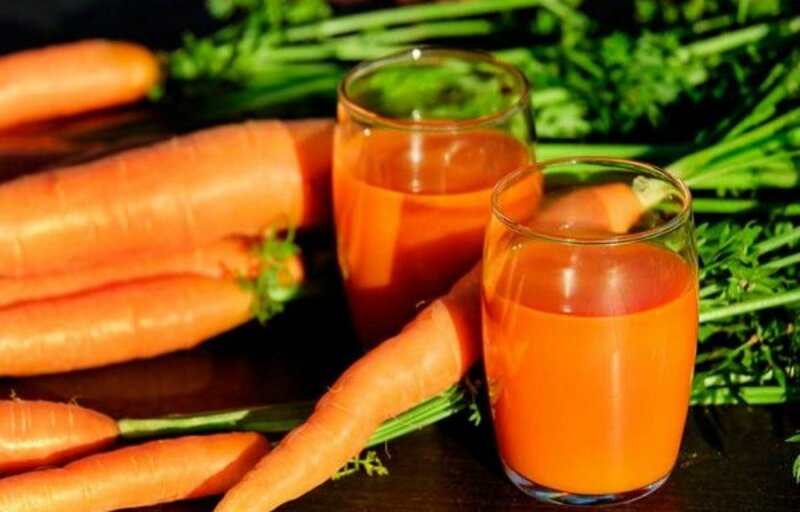 For 3 days you are allowed to eat only orange root vegetable and drink a lot of water. For easier digestion of the product and reducing the load on the gastrointestinal tract, nutritionists recommend rubbing the root on the grater. It is allowed to introduce fruit into the menu. It will make the use of this tasty vegetable more pleasant process. You can cut an apple, grapefruit or orange in small slices and add to grated vegetable. In a day you can eat no more than one medium fruit. To more effectively absorb all the nutrients that are part of the plant, you can add a couple of spoons of low-fat sour cream or olive oil. 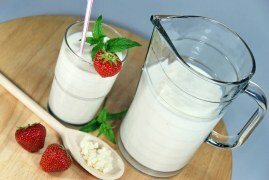 After waking up: ½ cup low-fat milk, kefir or 1 tbsp. Sour cream. Eating dairy products on an empty stomach promotes more natural and effective absorption of useful substances. Breakfast, lunch, and dinner: carrot and fruit salad with honey and olive oil. Dinner: eat the same salad or drink vegetable juice. The diet for rapid weight loss for three or four days gives an opportunity to get rid of 3-4 extra kilos. This menu for rapid weight loss is designed for three full days. The fourth day should be dedicated to the exit from the express menu: in its course to the already simple vegetable salad for breakfast, a glass of low-fat kefir is added, at lunch – two small baked potatoes, for dinner – 100 g of boiled white chicken meat. At the same time, if you are delighted with the result, which in just three days gave you a strict diet, do not abuse the magical effect of salad and repeat the three-day cycle: such a little and unbalanced menu will affect your health. But if the love of this vegetable is excellent, and the desire to lose weight and willpower do not contradict each other, you can choose a more extended program to get rid of excess weight with the help of a root-favorite. The diet for a week is less popular than its 3-days variant. However, if you follow the rules for such a short period, you can lose weight up to 4-6 kg. Snack: carrot-apple slaw with lemon juice, olive oil and honey Supper Grated vegetable and 100 g low-fat cottage cheese. Besides a salad of grated vegetable, a seven-day menu allows you to drink a glass of low-fat milk (preferably 1% kefir) during the morning meal, and also eat 1 st.lozhku rustic sour cream. Dairy fats contribute to the full assimilation of minerals and vitamins, which are supplied to the body with this tasty vegetable. 1 kg of peeled carrot (if young or relatively clean, you can simply wash it with a brush), grate. Add the crushed fruit to choose from (1 medium grapefruit or orange, 1 large apple, half a pomegranate or 3 kiwis), fill all juice of one medium lemon, a teaspoon of honey and a tablespoon of extra virgin olive oil. 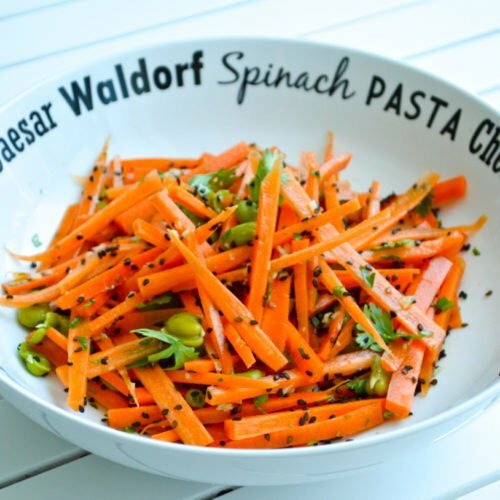 Stir well, the prepared salad for the diet should be stored in the refrigerator. Eating this vegetable for 7 days, the human’s body not only loses an extra 11 kilos but will become enriched by vitamin and mineral complexes. In such a way, orange root vegetable contains many useful substances, the majority of which falls on provitamin A. It is rich in vitamins B, D, K and E, pantothenic and ascorbic acids. 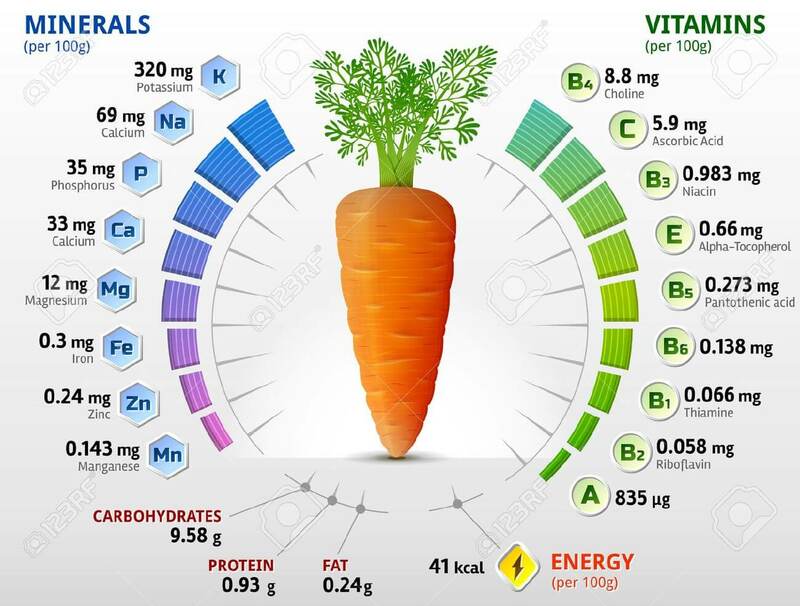 Vitamin A has excellent antioxidant properties. It is necessary to maintain good vision, elasticity and skin health; strengthens human immunity. Vitamin K removes harmful toxins from the body, is responsible for clotting of blood. Fibre, contained in large volumes of root vegetables, relieves the body of excess cholesterol and promotes the standard working capacity of the intestine. Iodine normalizes the thyroid gland. You can not stick to such a power system more than once a month. Frequent changes in menu can cause digestion problems. You can not eat root juice or its juice on an empty stomach. Otherwise, digestion may develop. First, please drink a glass of milk or clean water. Those people who have too light skin, you can not stick to the menu for more than three days. Otherwise, their skin will acquire an orange shade.